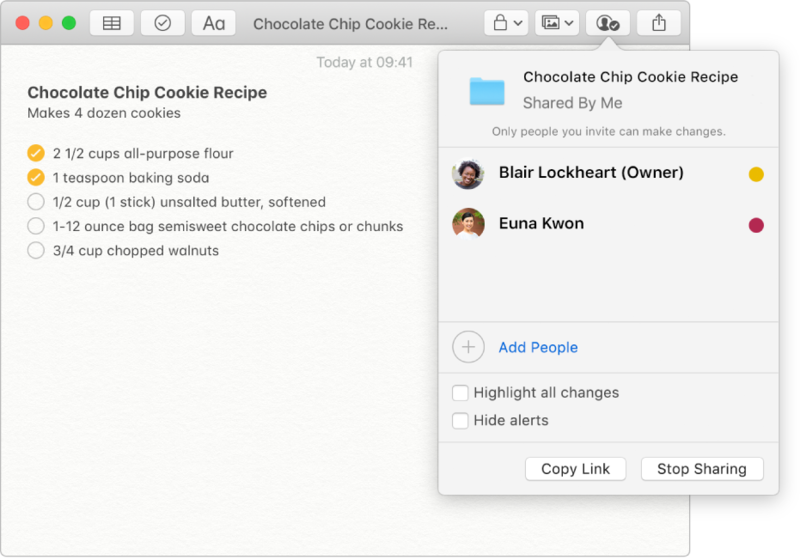 When you add your Internet accounts to Notes, you can keep your notes with you no matter which device you’re using — so you can save a recipe on your Mac, then have it handy on your iPhone when you’re shopping for ingredients. 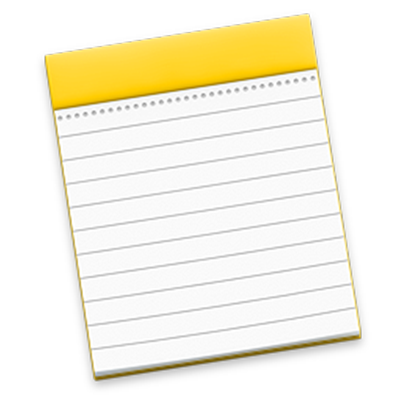 Drag and drop pictures, movies, links and other files into your notes. 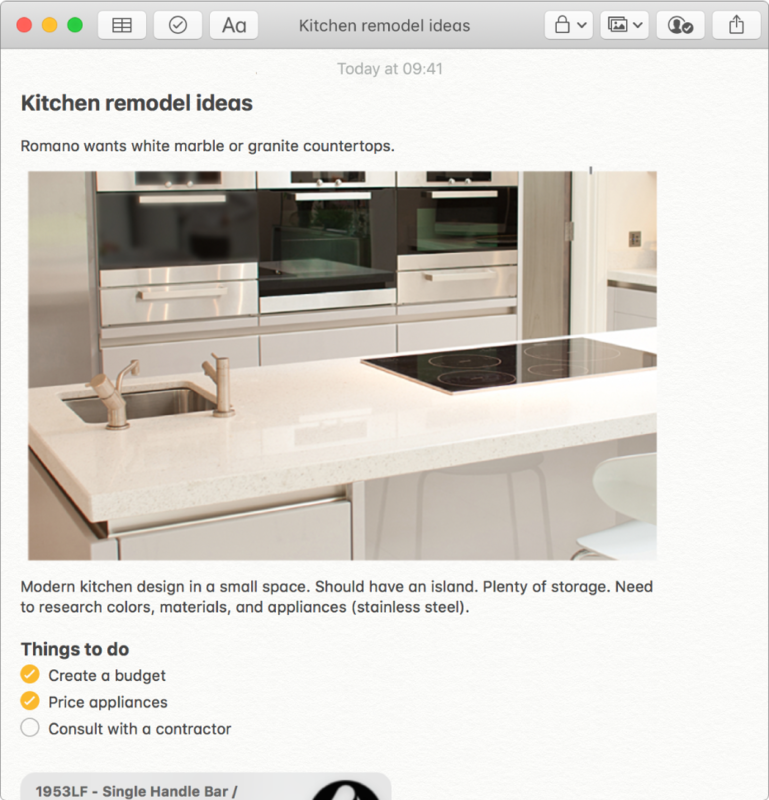 You can also add content to notes right from Safari, Photos, Maps and many other apps. 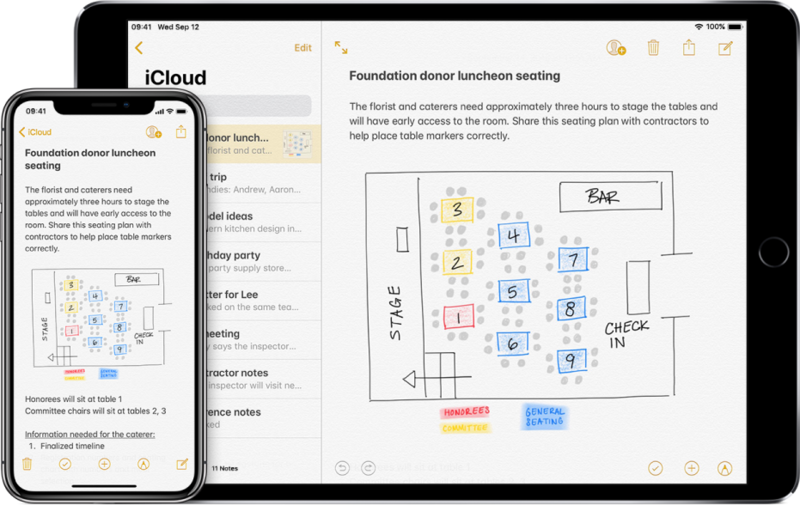 Add people to your notes so that many people can collaborate on the same note. To browse the Notes User Guide, click Table of Contents at the top of the page.